What day is it? Sheesh! I've lost track, but I know it was the last day of the public sale. 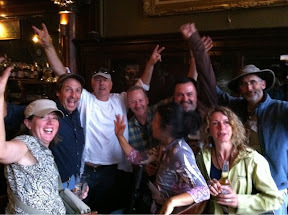 Everyone worked hard and felt ready for a celebratory drink at the New Sheridan after tear down.